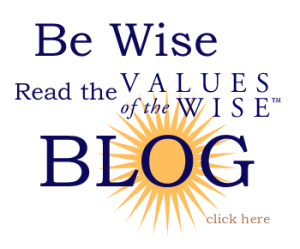 Values of the Wise | Wisdom, Knowledge, Values by Author Jason M.
Values of the Wise was created in 2004 by Jason Merchey. It is an impressive fusion of applied psychology, ancient philosophy, critical thinking, social criticism, inspirational quotes, personal growth, ethics and, above all, wisdom. Jason Merchey has dedicated his academic/writing life to the compilation of timeless wisdom throughout the ages. His goal with Values of the Wise is to bring ancient wisdom and progressive thinking to life. Through his tireless and expansive research, Merchey has created this novel approach to wisdom based on the values learned and cultivated by important figures in society. Covering a multitude of topics such as social justice, economics, politics, and morality, Values of the Wise seeks to make knowledge easily accessible for the interested reader. Virtues and fulfillment and meaning can result from such self-knowledge. The ambitious project features an extensive quote database (known as The Wisdom Archive), a blog with many topics and subjects in the realm of values and ethics, podcasts (known as Values and Ethics Dialogues), books of wisdom (known as The Values of the Wise Series), and an active social media community. 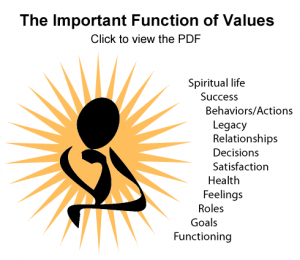 Values of the Wise also features two unique, free tools to help one understand one’s values (The Top Values ToolTM) and to know more about how one goes about making moral choices and ethical decisions (The Ethical Decision-Making GuideTM). The purpose of this 14-year-old academic enterprise and odyssey of public philosophy is the spreading of a myriad of ideas to encourage free-thinking, critical decision-making, and virtue. Values of the Wise is a stellar and unique guide to asking and answering the big questions in life. Join a community of open-minded individuals, expand your horizons, and join in the virtual community. Welcome! Jason is a philosopher (from the ancient Greek: a lover of wisdom), author, blogger, reader/researcher, and exponent of values and virtues that can make our communities more progressive and wisdom-oriented. He earned a master’s degree in psychology, a bachelor’s degree in psychology and social behavior, and is in the process of wrapping up a graduate certificate in philosophy and ethics from Harvard University Extension. Which values are the “values of the wise”? Is wisdom your greatest strength? Do you prize truth above all else? This brief inventory shows you which of the 28 values of the wise you most prefer. When you know what you value, and why, you live a more passionate and meaningful life. How do you decide about moral issues? What is your ethical style? Take the ethical assessment created by Jason Merchey, M.S. and Peter Raabe, Ph.D. to determine which approach to moral decision-making you tend to prefer. Archived interviews from Jason Merchey’s radio show, Values and Ethics: from Living Room to Boardroom, on World Talk Radio, then the world’s largest Internet-based talk radio site.